Contemporary Automotive, a leading commercial vehicle dealer in NH, cares about small business owners, and that’s why our dealership is ideal for commercial trucks and On the Job benefits. Small businesses receive allowances just for buying the RAM accessories and parts they need, so you can save money and help your business. In order to be eligible for small business benefits from our dealership, you just need or have a registered business entity and a vehicle you will be using for your day-to-day operations. You must bring a document showing proof, such as business incorporation or a government document, to your local dealer. If you need to purchase a vehicle first, you have to be a certified business owner for more than 30 days prior to your purchase. As an added bonus, there is no limit to the number of vehicles you can purchase or lease to receive these benefits, so you can buy as many cars as need to help successfully run your business. Winter is here, and that means cold, snow and ice. If you’re looking to start a snow plowing business to bring in some extra income this winter, come to Contemporary Automotive have a plow attached to your truck in New Hampshire for an affordable price. If you want to add a snow plow to your truck for your small business, we offer a $1,000 Commercial Equipment / Upfit / Snow Plow / Factory Box Off Allowance on eligible vehicles such as the Ram 3500/4500/5500 Chassis Cabs and Ram 2500/3500 4×4 Pickups. In order to be eligible, the installation must be performed by a factory-approved upfitter and a minimum of $1,000 in eligible equipment must be installed in order to be eligible for the allowance. The dealer must have an invoice proving any or all equipment and body installation costs and the commercial/uplift allowance must be processed at the time of sale.  **Please note that benefits such as 1st available lift service, competitive pricing and alternate transportation that come from Contemporary Automotive apply to any make/model no matter where they are purchased. Any other benefits mentioned only apply if you buy a new vehicle and will only go towards that particular vehicle.